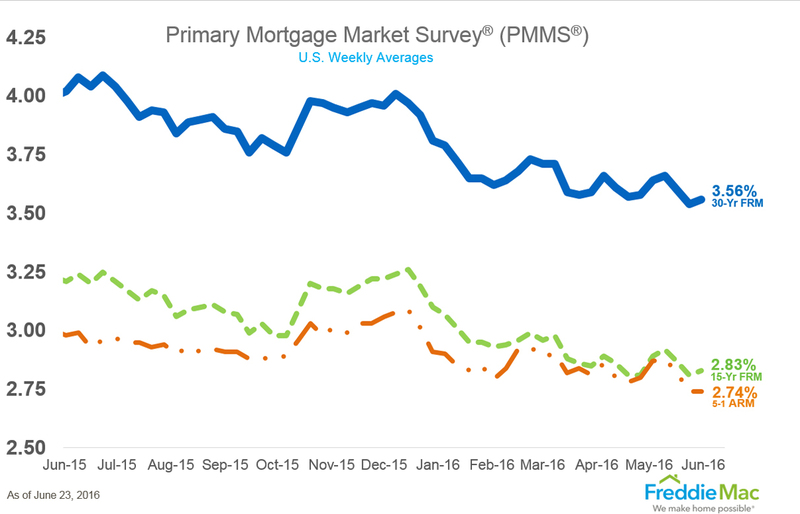 30-year fixed-rate mortgages (FRMs) averaged 3.56 percent with an average 0.6 point for the week ending June 23, 2016. This is up from last week when it averaged 3.54 percent. A year ago at this time, the 30-year FRM averaged 4.02 percent. Sales of new single-family houses in May 2016 were at a seasonally adjusted annual rate of 551,000. This is 6.0 percent below the revised April rate of 586,000, but is 8.7 percent above the May 2015 estimate of 507,000. 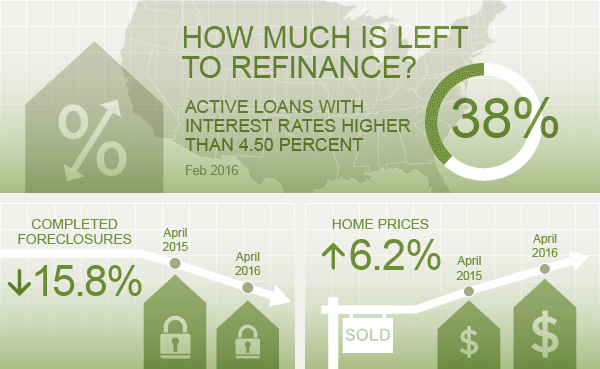 Active loans with interest rates higher than 4.50 percent comprised 38 percent of all loans in February 2016. Completed foreclosures were down 15.8 percent year-over-year in April 2016. 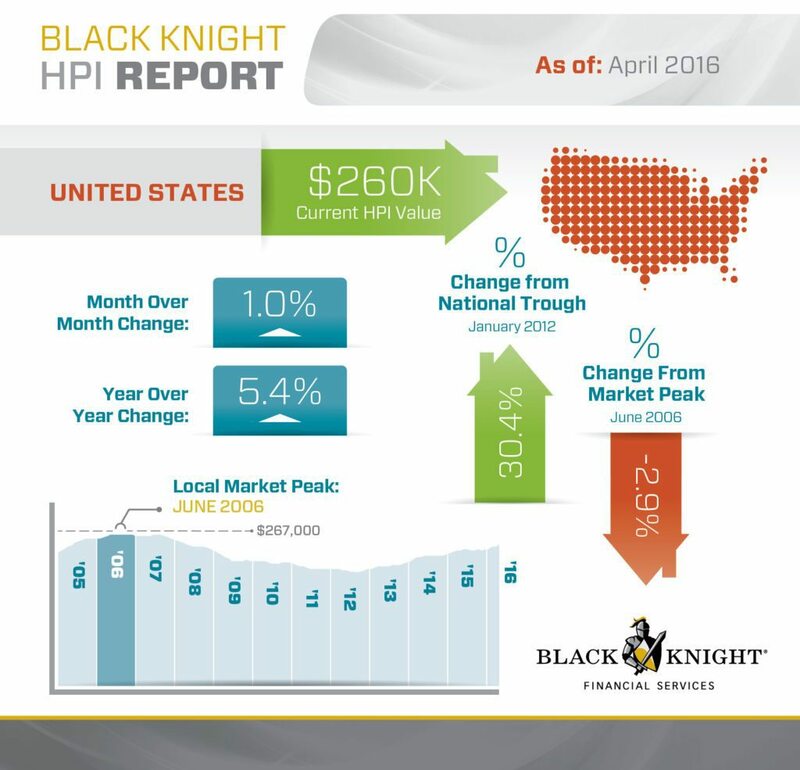 Home prices were up 6.2 percent year-over-year in April 2016.